GLL is looking for Duty Managers across our London East Region, which includes Hackney, Tower Hamlets, Queen Elizabeth Park, Islington, Royal Borough Greenwich.. If you have the talent and ambition to be a Duty Manager, there’s never been a more exciting time to progress with GLL. This is more than a Duty Manager role – it’s a career. Ensuring the smooth day-to-day running of a leisure centre, you’ll ensure the health, safety and enjoyment of customers and colleagues alike. 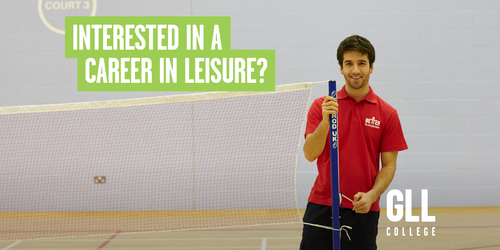 We’re looking for experienced Duty Managers or ambitious and talented Senior Recreation Assistants who are passionate about the leisure industry. So, if you’re looking for a desk job, this isn’t for you – as there’s no such thing as a typical day as Duty Manager. You will have responsibility for the smooth operation and service delivery in one of our leisure centres across the region. You will have a duty of care over our staff, customers and all those who visit our centre ensuring their safety at all times. The role focuses on ensuring our activities are delivered professionally in a clean and safe environment. You will plan and deliver our wide range of programmes across the day and manage the front line team to ensure this happens consistently to a high standard. If you’re a fast-thinker who’s calm under pressure, responsible and a natural with people from all walks of life, this is your chance to progress as a Duty Manager. We also look for integrity, a can-do attitude, health and safety knowledge, and a customer service focus, combined with relevant professional qualifications such as NPLQ, PPO (desirable), Pool Management Qualification, FAAW. From introducing a table tennis club and supporting disabled groups, to organising charity swimathons with celebrity guests, we’ve introduced all sorts of initiatives. So, if you’ve an idea and the drive to improve things even further, we’ll listen.